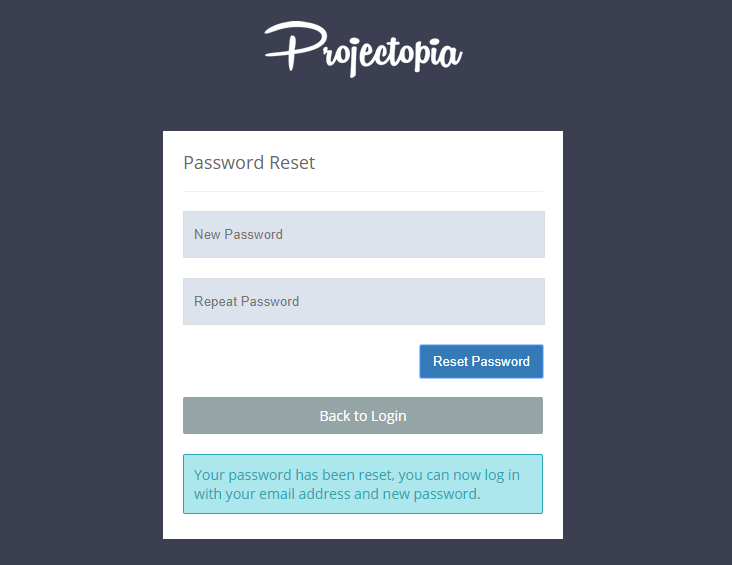 Projectopia provides two methods for resetting a client’s password. They can be reset by an admin or by the client via the login screen using a hashed email link. 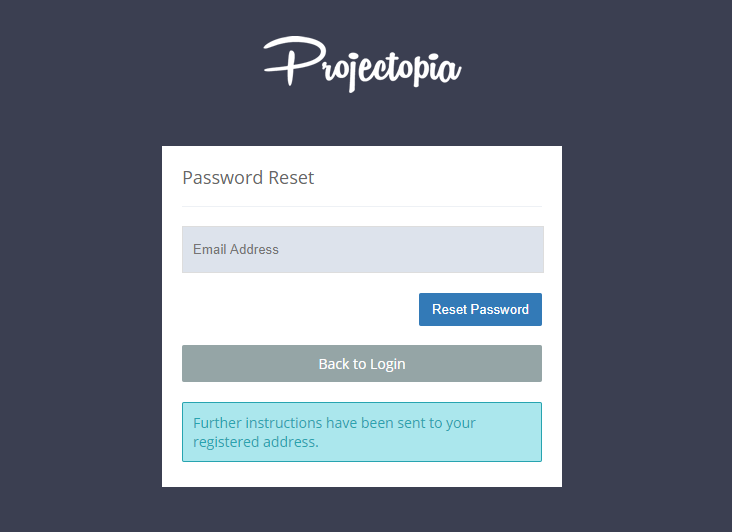 To reset a client’s password as an admin (Or any Projectopia user who has the required permissions), you need to go into the admin page for the client whose password you want to reset. On the right hand side, you’ll see a “Reset Client’s Password” button. Upon clicking the “Reset Client’s Password” button, you’ll be presented with a lightbox to enter the client’s new password and confirm it. You can also choose if you want to send the client an email with their new password. If you chose to send the password by email, the client will now receive an email with their new password. The template for this email is in the plugin settings under the Clients tab. 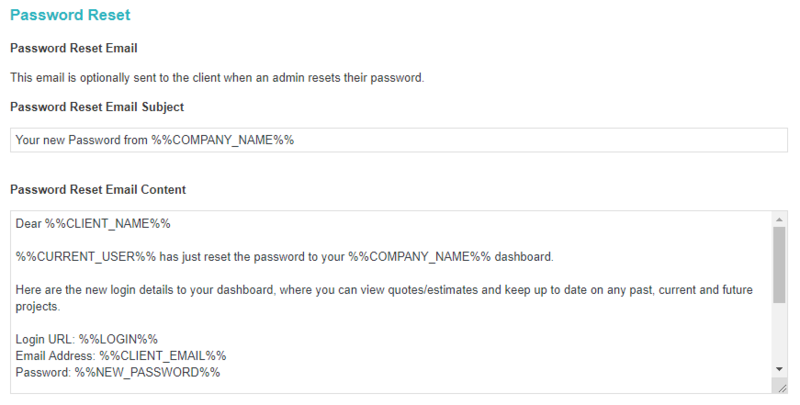 Clients can also reset their own passwords via the login page by requesting a hashed reset link via email. To do so, they need to visit the client dashboard login page and enter their email address. 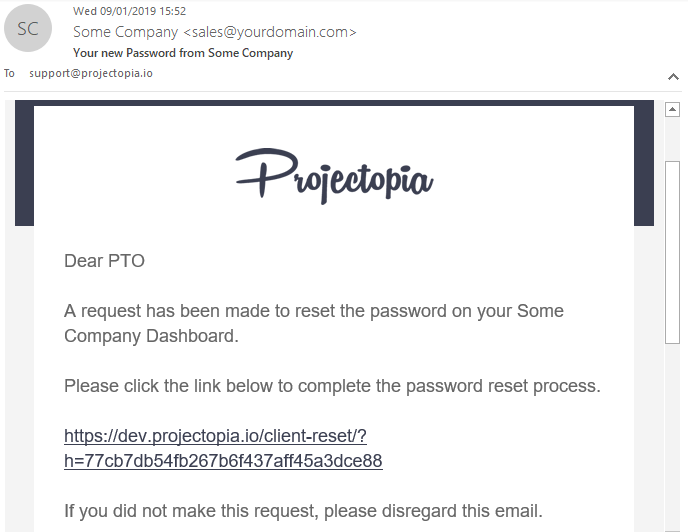 The client will receive an email to their registered address with an encoded email link that can be used to reset their password. 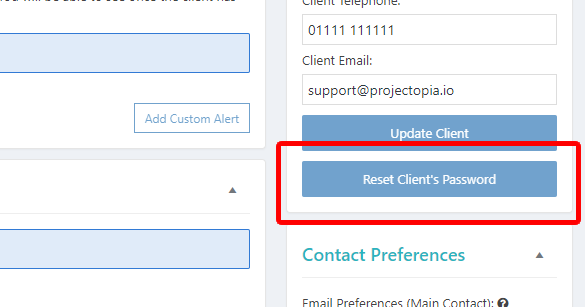 The email template that is sent is located in the Projectopia settings under the Client Dashboard tab. 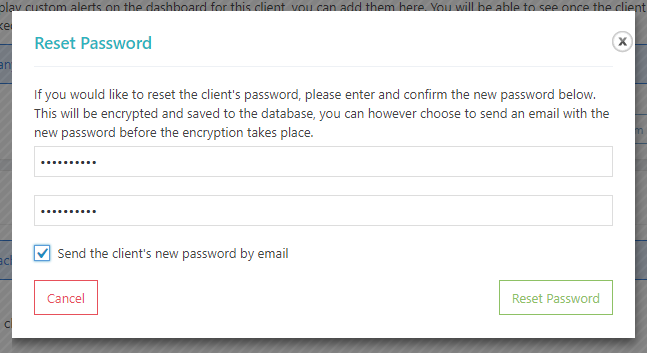 Upon Clicking the encoded link, the client is taken back to the client dashboard login page where they can enter a new password, confirm it and save it. They will now be able to log in with their new password.